Bacon is sizzling with popularity. And pretty much everyone thinks he is the best. That is-until Bacon's fame goes to his head. He's so busy soaking up the attention, that he soon forgets the important things in life, like friendship and family. How will it all pan out for our dashing, delicious hero? 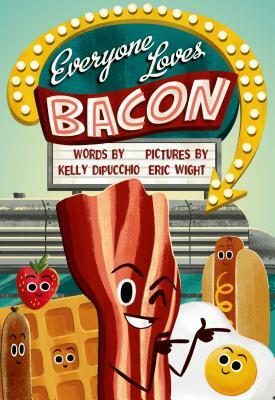 Kelly DiPucchio likes her bacon well-done, served with two eggs over easy and a side of rye toast. She is an award-winning author of several children's books, including the New York Times bestsellers Grace for President and The Sandwich Swap. She lives with her husband and three children in southeastern Michigan.